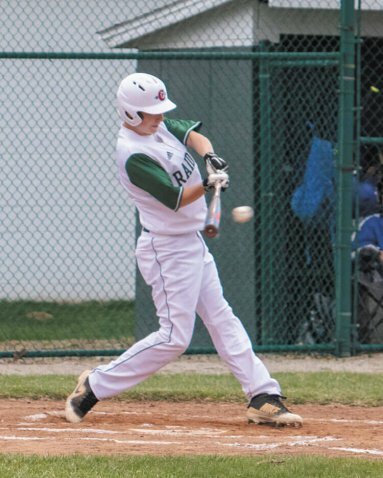 Raiders defeat Eagles 10-2 on the baseball diamond – Ripley Publishing Company, Inc.
South Ripley’s Cody Samples is pictured from a game on April 5. In the Wednesday, April 10 matchup against Jac-Cen-Del, Samples led his team’s offense with three hits and two RBIs. Samples is hitting .333 so far this season and has batted in a total of six runs. 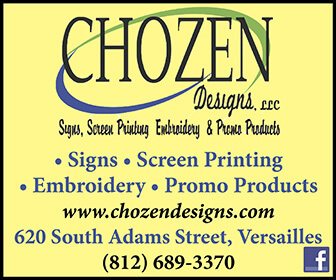 South Ripley scored three runs in the top of the first inning and seven in the sixth to take the rival victory over the hosting Jac-Cen-Del Eagles in baseball action on Wednesday, April 10. SR Assistant Coach Jeff Greiwe reported that Raiders pitcher Bryce Franklin pitched six strong innings, allowing only one earned run on three hits while striking out 13 batters. Raiders sophomore Cody Samples led his team on offense with three hits in four plate appearances while also earning two RBIs. Bryce Franklin and Bryer Franklin each added two hits and one RBI, and Cory Ralston and Kendall Stephen each had one hit and one RBI. JCD’s offense had five hits. TJ Menchhofer led the way with two, while Dylan Swinney, Logan Drockelman, and Damon Hughes each had one. Drockelman and Corey Hughes each had one RBI. JCD pitcher Logan Drockelman went five innings, striking out five batters while giving up two earned runs. Dylan Swinney finished the game for the Eagles, striking out one batter. With the win, South Ripley improved to 4-1 on the season, 2-0 in the Ohio River Valley Conference. The loss brought Jac-Cen-Del to a 6-2 record.